Most adults have four wisdom teeth that typically emerge between the ages of 17 and 25. These are located at the back of the mouth and commonly affect other teeth as they develop, causing issues that range from minor discomfort through to severe pain. When there is insufficient room for the wisdom teeth to develop properly, they can erupt at an angle and get stuck against an adjacent tooth. Referred to as ‘impacted’, this will require professional treatment to correct. At V Care Dental, we’re proud to offer wisdom teeth removal in Melbourne for patients of all ages. A highly trained and experienced wisdom teeth removal dentist will take x-rays that show the position of the root, allowing us to assess how difficult it will be to extract the tooth. Depending on the results, our dentists may decide to remove the tooth in a separate procedure. 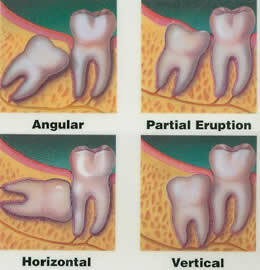 Our wisdom tooth extraction dentists will only decide to remove your wisdom teeth under certain conditions. If the wisdom teeth cannot fully erupt through the gum and are causing infection, they will need to be removed to prevent further damage. 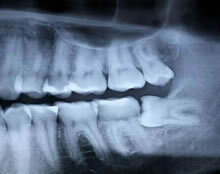 If the wisdom teeth are decaying, they will also need to be removed to prevent additional complications in the future. Following wisdom teeth surgery, patients are likely to experience some swelling and discomfort. We recommend biting down on gauze to stop bleeding, plus you should avoid solid foods and cigarettes for several days as the wound heals. The last thing you want is to cause infections or experience dry socket due to disturbing the blood clot. Additional appointments will need to be scheduled so that our dentists can assess your healing progress and remove any necessary stitches. You can also book an emergency appointment with us to address heavy bleeding, infection or any other complications you experience during the recovery period. There’s no better choice than V Care Dental when you need affordable wisdom teeth removal in Melbourne. Contact us today to learn more and make a booking by calling (03) 9772 7175. You can also fill out our simple online enquiry form and we’ll get back to you as soon as possible.